Probashbangla24 online Desk : Priya Prakash is gradually becoming a fashion icon of sorts. The pretty young girl, who has won Indian internet users by her adorable expressions, took to Instagram to share photographs taken during a function. 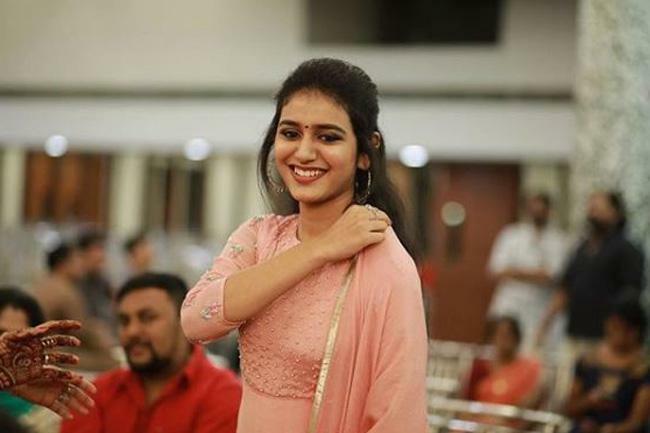 Priya Prakash Varrier made her debut with Omar Lulu’s Oru Adaar Love, which released in June this year. Priya talked about her work plans in an Instagram post and mentioned that she’s getting many film offers but she cannot take up another project till August as she has to continue filming Oru Adaar Love. ‘At the moment I’m getting a lot of offers from various industries. I would not be able to do any other films until August as we have not completed Oru Adaar Love yet,’ she wrote.